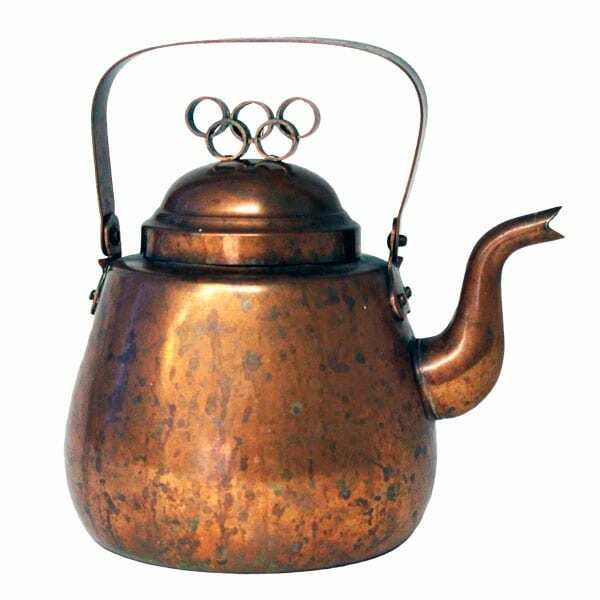 Description: Copper coffee pot. Olympic rings on the lid. In the handle the text: Pauligin pannu 1951 [Paulig’s pot 1951].